It is 26 March 2014. 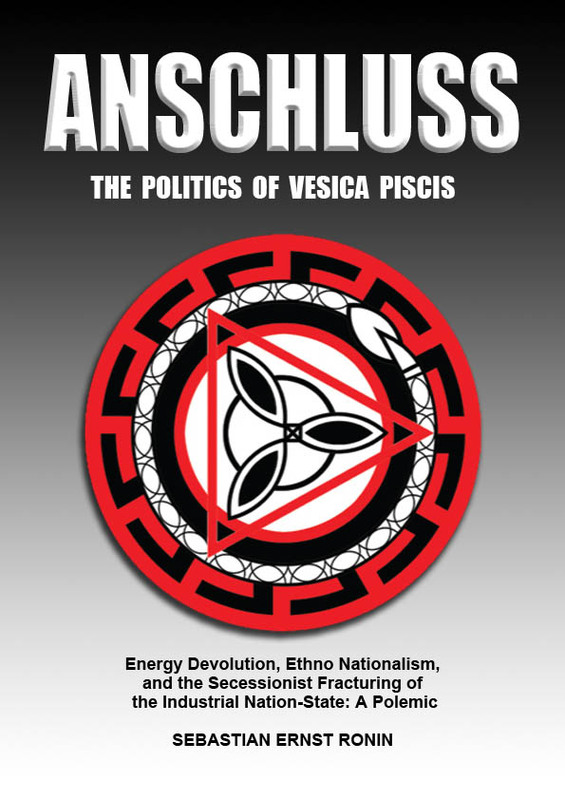 Since the publication of Anschluss on 17 October 2013, I have gone over it several times. Although there are several weak spots which will be addressed in the Second Edition, there are no mistakes. National Synergists do not makes mistakes. For those who have read the book, you must realize that you hold in hand a tool, a specific type of tool. This tool is a weapon. It must be put to use in the world of secessionist, ecological, and racialist ideology and politics. If it is not put to use, The Book’s utility remains as a door stop or paper weight. The unwillingness and inability to fight, by and large but definitely not for the most part, and given the particular weapon, remains a constant and revolving challenge to overcome. There is always a line to be stepped over; there is always a point of no return. The timid always prefer to have it both ways: commitment minus commitment is an halucination. The attacks against Anschluss come from the usual, tired, old sources. None of them have read The Book, yet are prepared to cast judgement from the usual place of their motivation: their own fears, insecurities, and incompetence. For those who have read The Book and “get it”, use the tool with which to cut these cowardly pretenders. Cut them hard. Do not let them get back up. We do not carry baggage; we do not take the prisoners of fear and incompetence. The dedicated and secret Facebook group for readers of The Book, as is this blog, is relatively quiet. Most are confused, yet refuse to ask questions. Some are in shock, yet refuse to engage in healthy and constructive dialogue. Some will simply wander away, knowing what they must do, yet refusing to do so all the same. Such is human nature for any undertaking that requires a stepping off the edge of no return, onto the Death Ground of opportunity only minus any and all guarantees. The current generation is not yet open to the brutal lessons of personal Rubicons. Collapse, total and unconditional, will in time erase this existential handicap. The Book will at all times for the foreseeable future adapt to whatever is in play. Currently, there are two events in play as relate to The Renaissance Party. Firstly, there is the maturation of the Ethno Nationalist-White Nationalist crisis, as it is being pushed towards the crisis with the attack on the misguided and false White Nationalist “Mantra.” Secondly, the energy and traction that are being generated with the attack against “The Mantra” are being funnelled towards the RPN’s inaugural AGM on May 3-4, 2014. The racial suicide-genocide showdown is a final 15th juxtaposition element of the EN-WN “street fight”, as was announced last summer on The White Voice radio program and introduced to the public via The Book. Everything is always right on schedule.